The Irish Naval Service is to get two new ships worth €50m each. The announcement was made this afternoon by Minister for Finance Brian Lenihan and Minister for Defence Tony Killeen. They were at naval headquarters at Haulboline, Co Cork to welcome home the LE Niamh after a ten-week voyage to Latin America where it was supporting Ireland's trade and diplomatic links. Minister Killeen said the new vessels will come on stream in 2014 and 2015. Final negotiations with UK ship builder Babcock Marine are expected to conclude in the next few months. Mr Lenihan said the purchases are in line with recommendations in the An Bord Snip report. He insisted that the new ships were necessary because of the essential work undertaken by the naval service. Payment for the vessels will be made over a number of years to 2017. 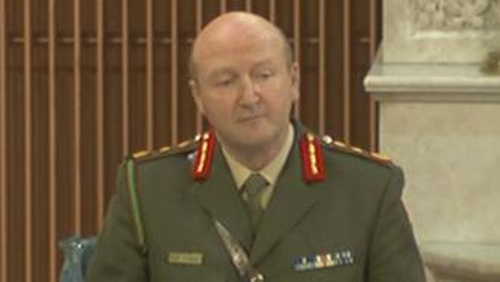 Chief of Staff of the Defence Forces Lieutenant General Séan McCann said the new ships would help to enhance the capability of the naval service. Flag Officer of the Naval Service Commodore Frank Lynch said the purchases would ensure career opportunities for the men and women of the naval service. Lt Gen McCann said the Naval Service is delighted with the news, particularly in the current economic difficulties.